The work will run alongside Sky's 20 exclusive F1 broadcasts. Sky has revamped the creative and design elements for the broadcaster's upcoming coverage of the 2019 Formula 1 season. The broadcaster's in-house agency Sky Creative has created a new title sequence, interactive touchscreen, broadcast podiums and infographic design systems, among others, to overhaul Sky’s Formula 1 broadcasts. The campaign launches tomorrow (2 March) with a TV spot that follows the history of Formula 1 through the lens of a single camera, and will run throughout Sky’s F1 season. The creative directors on the campaign are Simon Corkin and Nicole Poppi, and it was directed by Lieven Van Baelen through Knucklehead. 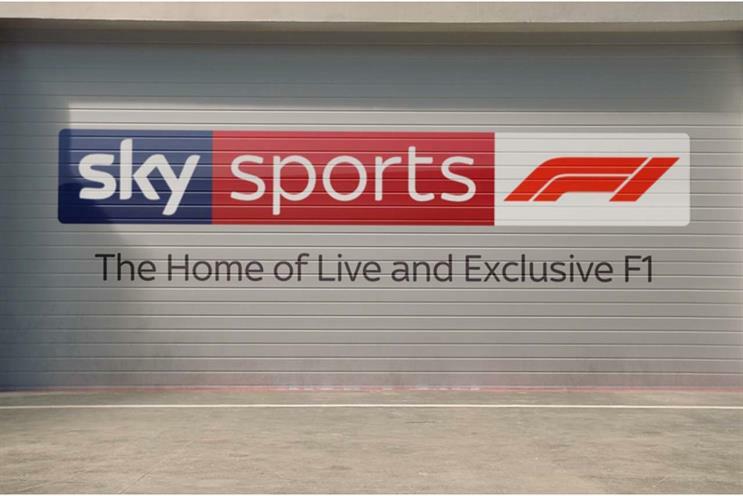 Sky Sports’ head of brand marketing, Robbie Balfour, said: "To mark Sky Sports becoming the home of live and exclusive F1, we set out to deliver a campaign that both celebrates the sport’s history, and reflects our excitement for its future, and the result is fantastic. "Working in close collaboration with the entire Sky Sports business, SCA has helped craft a campaign that really does justice to our brand and this great sport." Simon Buglione, managing director for Sky Creative Agency, said 2019 was "a big year for the agency as it is the first time we’ve been responsible for all of the major content campaigns across the broadcast portfolio".